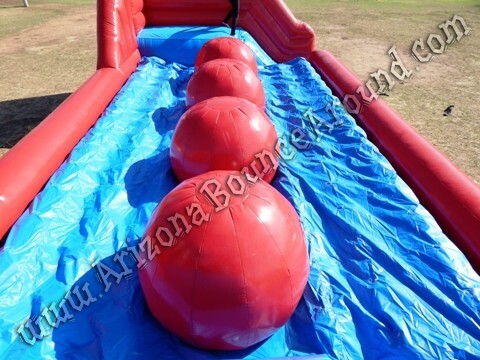 Have you ever wanted to run across the big red balls on Wipeout? 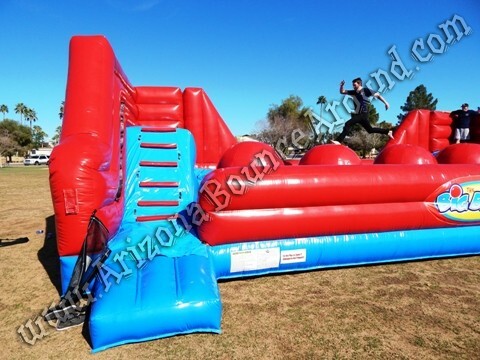 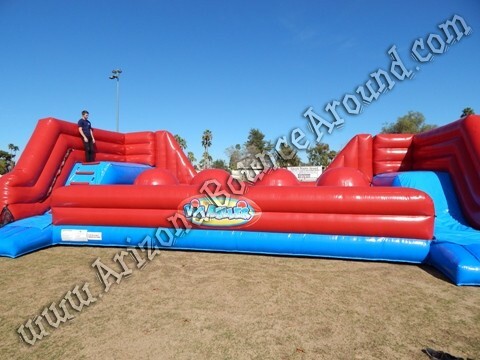 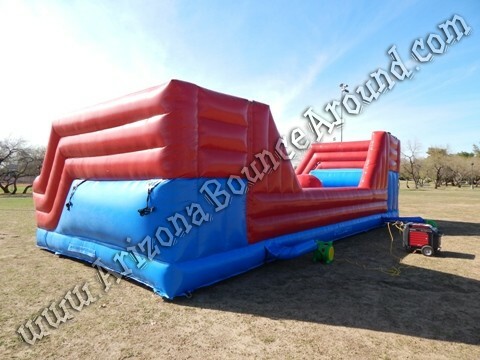 Well we rent this Inflatable Wipeout game in a portable model perfect for any event from a birthday party to company picnic. 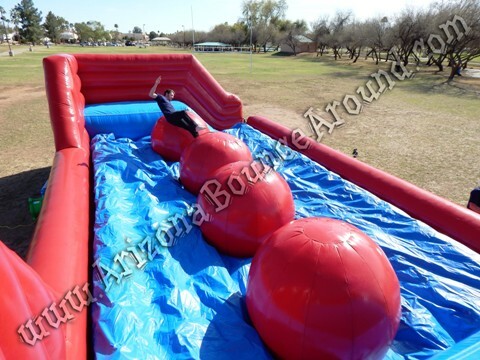 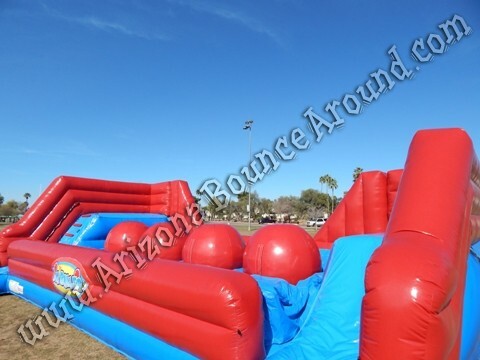 This Wipeout big baller game can be used by kids or adults and can be set up on grass, concrete, indoors or most any other surface except dirt or sand. 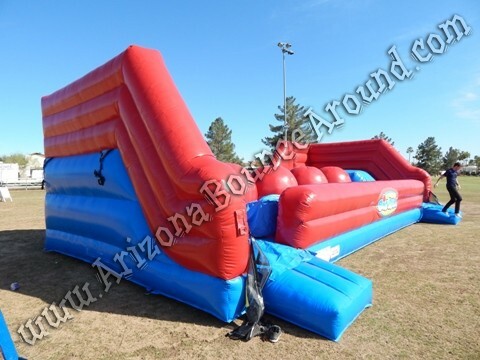 This Big Baller interactive Wipeout game features a series of four inflatable red balls that challengers must jump across to reach the other side. 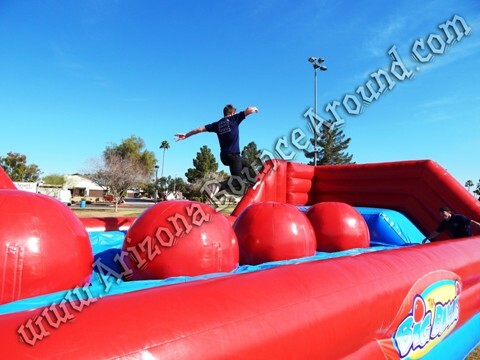 Climb up the ladder platform high above the biggest ball pit you’ve ever seen. 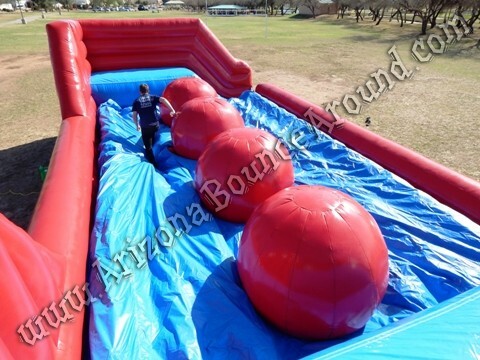 Then try to cross the course by jumping or running across those big red balls. 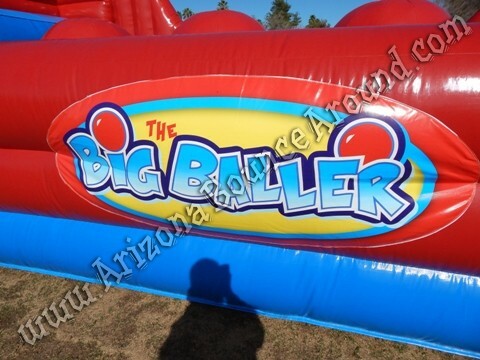 Be sure to check out our Sports Baller game for sports themed parties.